The Windfast Empire, a collection of islands under the rule of Emperor Styl and his daughter, Jessamyn, is standing on the brink of war with the Obsidian Kingdom. Talents, or people of the lower class born with supernatural powers, have been disappearing and the Emperor’s apparent reluctance to investigate the issue is causing unrest. Britain has declared war on Nazi Germany and every able-bodied man is conscripted into the military, forcing the government to fill its offices with women and the medically unfit. Food is heavily rationed, bombs are constantly being dropped on London, families are destroyed, and mass paranoia is taking hold. Hidden in plain clothes, Britain’s spies and code breakers are working to dismantle Germany’s impending invasion. Veronica Speedwell was raised by her spinster aunts. They never liked to stay in the same house for more than a few months, so Veronica spent her childhood being dragged from one corner of England to another. She never went to school, never had friends her own age, and educated herself by devouring books at the library. After discovering a fascination with butterflies, Veronica, at the age of eighteen, left on her first scientific expedition and, over the course of the next several years, visited numerous countries on her quest for specimens. However, after losing her aunts to old age, Veronica realizes deep-seated loneliness is gnawing at her heart. With no home, no friends, no colleagues, no family, what exactly does she have? Miss Peregrine’s Home for Peculiar Children is a coming-of-age story about a boy named Jacob Portman. An outcast both at school and at home, Jacob’s only true friend is Grandpa Portman, a World War II veteran with an endless supply of stories. He shows Jacob old photographs of strange-looking children with supernatural powers and says he grew up with them in an orphanage before he left to fight “the monsters” in the war. Young Jacob was fascinated and dreamed of being an adventurer just like Grandpa Portman. Jacob’s parents discouraged him from believing such nonsense. Grandpa Portman’s stories are just that – stories. Monsters don’t exist, children don’t levitate, and grandfathers love teasing their grandsons. 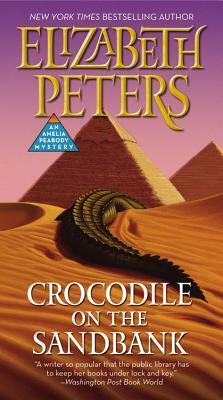 During the late 1800s and early 1900s, Amelia Peabody meets opinionated Egyptologist, Radcliffe Emerson, and becomes both his business partner and wife. Amelia is a formidable lady with a no-nonsense attitude, a strong belief in equality, and a compassionate heart. Emerson is a macho man with a hot-headed, sarcastic personality and a childish streak. Together, they solve murders (new and ancient) while conducting expeditions under the sands of Egypt alongside their family and friends. Serafina and the Black Cloak is a middle-grade novel about a brave twelve-year-old girl named Serafina who overcomes her fears in order to save children kidnapped by a wraith-like creature dressed in a black cloak. Serafina has lived her entire life in the basement of the Biltmore estate, using her cat-like body to catch rats and spy on the parties held upstairs by the estate owners, the Vanderbilts. She wonders why her father, the estate’s handyman, is so adamant her existence remains a secret and why he so strictly forbids her from entering the forest. Is he embarrassed by his feral daughter?